Our plastic & reconstructive surgeon provides high quality care across the full spectrum of plastic, reconstructive and aesthetic surgery. At Zia Medical Center, you can be assured of the highest standards of excellence in care and advanced treatment options. 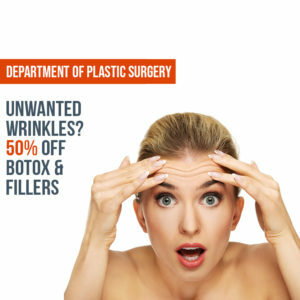 The department of plastic and reconstructive surgery provides treatment for conditions and deformities related to trauma, cancer, and a wide range of elective cosmetic procedures to help any patients struggling with these disfigurements. We encourage our patients to participate in their treatment plan by providing complete information about the procedures, including potential risks and complications, as well as a realistic expectation of results. At Zia Medical Center, we remain committed to ensuring that our patients are well informed about the procedures available and have the opportunity to discuss their questions in confidence with any member of our team.